Dubai-based master developer Nakheel will be showcasing a plethora of real estate investment opportunities - including newly-launched residential projects worth more than $15.8 billion - at the upcoming Mipim real estate expo in Cannes for the fourth consecutive year. Nakheel, which first represented Dubai at Mipim in 2016, returns to the French city to further build its international investor portfolio, which already comprises nearly 30,000 global clients, including 3,500 from Europe, with investments totalling $35 billion, said a statement from the company. The developer, which shot to fame in the early 2000s with the creation of the world-famous, award-winning Palm Jumeirah, comes to Mipim 2019 with a new range of real estate at prime locations across the city, it stated. Among them are ready-to-occupy and off plan residential units, with prices from $122,000, down payments as low as five per cent, long term payment plans and attractive rental yields. Land plots, also with attractive payment plans, for commercial, residential or hotel development are also available. Two new Nakheel projects available at Mipim this year are Dragon Towers, a twin-building, high-rise apartment complex at Dubai’s Dragon City community, and Jumeirah Park Homes, a collection of four bedroom terraced homes – each with a private pool – at the high-end Jumeirah Park community. A range of other properties, including luxury apartments in The Palm Tower on Palm Jumeirah; ready homes at the waterfront Azure Residences, also on The Palm; high-end homes at Al Furjan and land plots at Deira Islands and other prime locations across the city are also available. 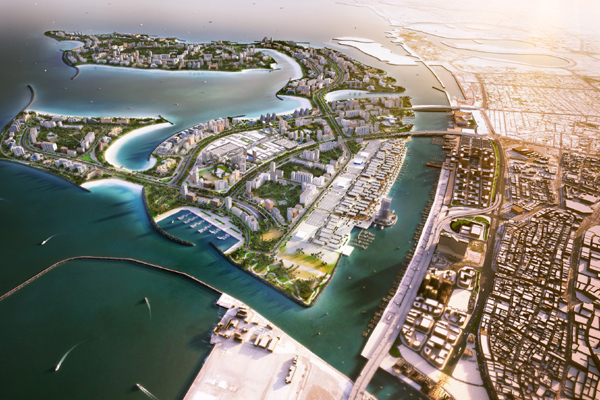 Since its debut at Mipim in 2016, Nakheel has sold more than $730 million worth of property, with 550 units, collectively worth $300 million being purchased in the last 12 months. The company has also awarded construction contracts worth $3.8 billion, delivered its first two hotels, opened new retail and entertainment destinations, including the $220 million Pointe at Palm Jumeirah, and launched a host of new residential, retail and hospitality projects since its first visit to the show in 2016. Nakheel Chairman Ali Rashid Lootah said: "Nakheel’s past, present and future projects are pivotal to Dubai’s achievements, and we continue to deliver ground-breaking, landmark developments that capture the attention of investors the world over." "A global hub for living, leisure, trade and tourism, the city is already a magnet for real estate investment, and recently-introduced government initiatives, including long term and retirement visas, make it an even more attractive proposition," stated Lootah. Nakheel’s marquee at Mipim features scale models of three iconic projects: the award-winning Palm Jumeirah and its luxury homes, hotels and attractions; Deira Islands, Nakheel’s new, 15.3 sq km waterfront city at Dubai’s original trading hub; and Palm360, a 260-m, iconic, twin-tower project on Palm Jumeirah, comprising a Raffles hotel, Raffles-branded residences and the world’s largest sky pool.